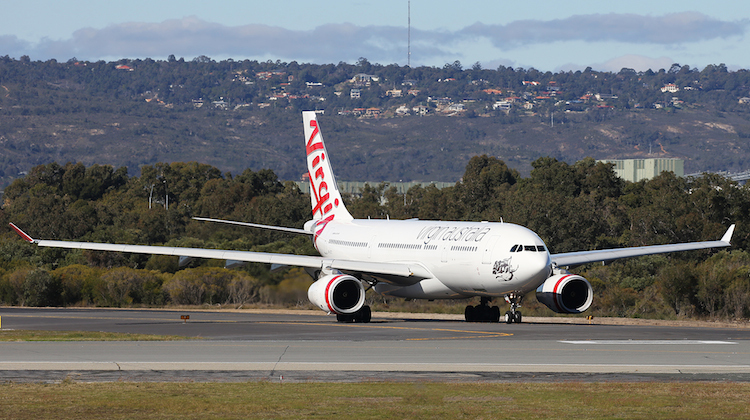 Virgin Australia has received a $159 million boost to its balance sheet after completing a share placement to Chinese airline and aviation company HNA Group. The company said on Thursday the transaction, first announced on May 31, was finalised after HNA received the necessary approvals from Chinese authorities. HNA was expected to have a board seat after purchasing its 13 per cent stake. Virgin and HNA also planned to apply to Australia’s competition regulator to establish a commercial partnership and alliance, which will also include the Australian carrier mounting flights to Beijing and Hong Kong from June 1 2017 with Airbus A330-200 aircraft from a yet-to-be-announced Australian city. Figures from Virgin indicated Singapore Airlines’ stake would fall from 22.8 per cent to 19.8 per cent following the HNA share placement, while Etihad Airways would fall from 24.2 per cent to 21 per cent and Sir Richard Branson’s UK-based Virgin Group holding would be eight per cent, from 10 per cent currently. Air New Zealand would retain a minor residual shareholding of about 2.5 per cent after selling the bulk of its stake in Virgin to Chinese conglomerate Nanshan Group. Separately, Virgin said it expected to launch its $852 million capital raising with a non-renounceable pro-rata entitlement offer “on or around 6 July 2016”. The issuing of new shares to HNA, as well as a $852 million capital raising announced on June 15, would result in $1 billion of fresh capital to bolster the airline group’s balance sheet and help pay down debt. HNA, as well as SIA, Virgin Group, Nanshan and Air New Zealand were committed to take up their full pro-rata entitlement in the capital raising. And HNA could increase its stake beyond 13 per cent, given it, along with SIA and Virgin Group, has also made binding commitments to contribute to the sub-underwriting of entitlements not taken up by other shareholders should the offer not be fully subscribed. HNA planned to eventually raise its shareholding in Virgin to 19.99 per cent. Now VA need to ensure they employ Australian pilots for these routes and not deploy the rumored wet lease agreement, particularly with the possibility of pilot redundancies as the Ejet fleet is completely decommissioned and a reduction in ATR aircraft numbers.